“First, the United States calls on the parties to recommit immediately to the cessation of hostilities, which means halting all military actions on the ground, in the air, and at sea. That includes an end to shelling and an end to airstrikes,” Ambassador Samantha Power said at a UN Security Council briefing on Monday. “It is also incumbent on the Saudi-led coalition and the forces of the Yemeni government to refrain from taking steps that escalate this violence and to commit to the cessation of hostilities,” she added. “After 19 months of fighting, it should be clear that there is absolutely no military solution to this conflict. Airstrikes that hit schools, hospitals and other civilian objects have to stop. In many cases these strikes have damaged key infrastructure that is essential to delivering humanitarian aid in Yemen,” Power concluded. “The US ambassador’s call for an end to indiscriminate airstrikes in Yemen would be more compelling if the US didn’t provide Saudi Arabia with some of the weapons that end up being used in these strikes,” UN director of Human Rights Watch Louis Charbonneau said, the Guardian reported. 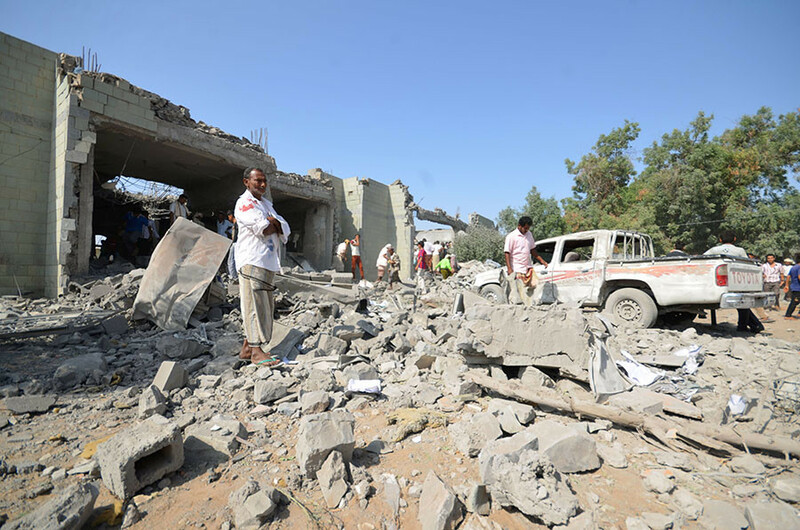 Coalition airstrikes on the Red Sea port city of Hodeidah on Saturday killed at least 43 people, many of them inmates in one of the city’s prisons, the Houthis’ TV network al-Masirah said. The airstrikes came hours after warplanes rained bombs on houses of civilians in the western city of Taiz, killing at least 18 people, including children, AP reported. Last month, Human Rights Watch (HRW) accused the Saudi-led coalition of war crimes following an airstrike on a funeral in Yemen on October 8, when at least two air-dropped munitions penetrated the roof of a hall containing over 1,000 mourners during the funeral ceremony of Ali al-Rawishan, the father of the Sanaa-based administration’s interior minister, Jalal al-Rawishan. At least 140 people were killed and 610 wounded. The coalition attacked the funeral after receiving incorrect information that armed Houthi leaders were in the area, an investigative body set up by the coalition later found. 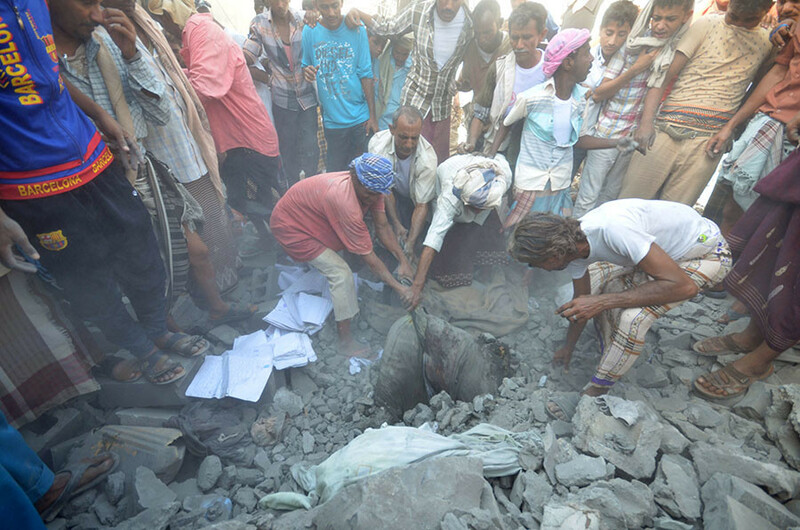 After interviewing survivors of the tragedy and examining information relating to the strike, the New York-based human rights organization concluded that Saudi strike was a deliberate action – first of all, because the funeral service, which was attended by over 1,000 mourners, had been made public ahead of time via a Facebook post. In addition to the Saudis, HRW said that US and the UK indirectly complicit in the deaths of civilians in the strike and the overall severity of casualties in the 19-month long civil war in Yemen. “The ‘policy review’ is an old and established Washington technique for avoiding tough decisions,” they wrote on the War on the Rocks website on Wednesday. According to HRW’s record, since the start of the Saudi-led air campaign in Yemen (which began on March 26, 2015) the Saudi coalition, with direct military support from the US and assistance from the UK, conducted at least 58 “unlawful airstrikes,” with other human rights organizations and the UN having documented dozens more. 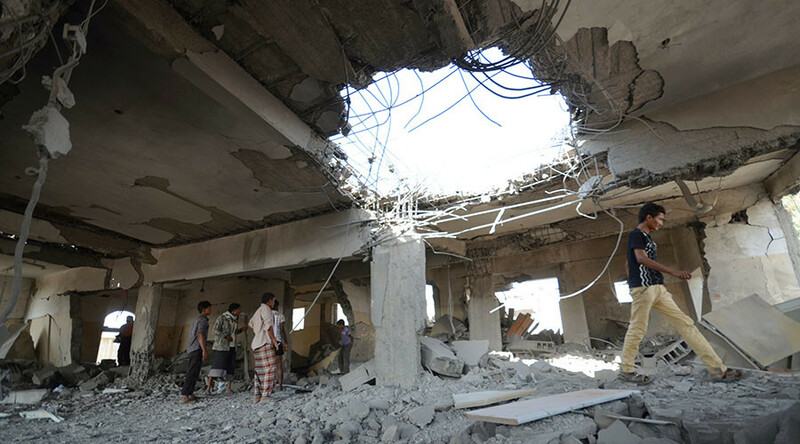 HRW has repeatedly criticized the coalition’s use of US and UK-produced weapons, including cluster munitions in Yemen. Yet despite calls by US officials to review its support for its Middle Eastern ally, HRW noted that US continues to sell arms to Saudi Arabia, approving more than $20 billion in military sales in 2015 alone. “This campaign by the Saudis is almost entirely dependent upon British- and American-manufactured munitions, which continued to be supplied to this day. British and American assistance in refueling facilities and intelligence gathering and logistics, and even in the control rooms coordinating the targeting,” security analyst and former UK counter-terrorism intelligence officer Charles Shoebridge told RT earlier this month. Saudi Arabia intervened in the Yemen conflict to restore ousted Sunni President Abd-Rabbu Mansour Hadi to power in March 2015. 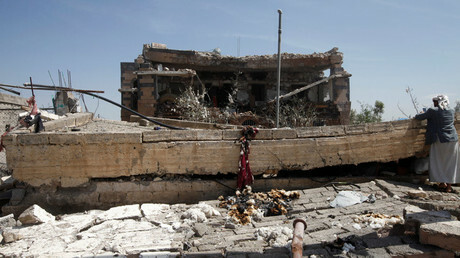 The intervention claimed the lives of at least 10,000 people, including almost 4,000 civilians, according to UN data. Since the beginning of the war there have been reports of Saudi jets targeting schools, hospitals, marketplaces and other civilian buildings. Peace talks mediated by the UN which aimed to bring hostilities to an end faltered in August, and fighting continued. Airstrikes carried out by the Saudi-led coalition in Yemen are responsible for the majority of civilians killed in the ongoing conflict, the UN found in August, while calling for an international investigation into the coalition’s violations there. “OHCHR has documented incidents in which airstrikes by the coalition forces had an impact on localities with a high concentration of civilians, including markets and residential areas, as well as on events such as wedding ceremonies, frequently incurring high casualties and causing substantive infrastructural damage,” the Office of the United Nations High Commissioner for Human Rights said in a report.